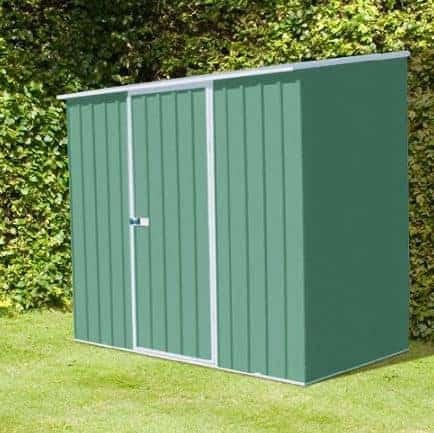 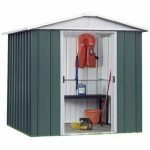 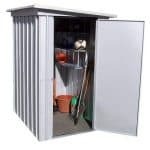 This 7.5 x 2.7 metal shed is great for storing those little items of garden equipment that you need to get put away at the end of the day. 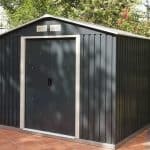 The panels on the shed all made from BlueScope Steel, so you gain by having having incredible protection against rust. 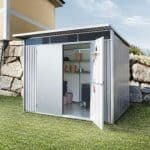 The shed is made to withstand extreme weather, and you can tie down the shed further to make sure that the shed stays put even in high winds. 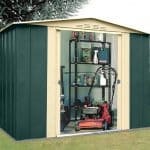 A 20 year anti-rust guarantee protects your belongings, and the pent roof works harder to ensure water run-off.